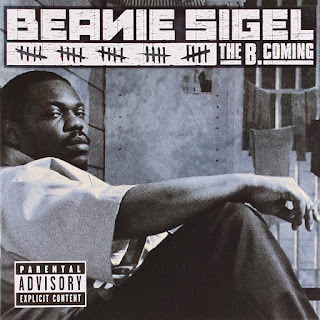 Beanie Sigel is one of the most underrated MCs ever. When he arrived on Roc-A-Fella, he seemed poised to break out and be a star. However, his legal troubles plagued him from being a huge force mainstream wise, but his catalog is solidified for the most part. His two greatest works are The Truth and The B.Coming so we decided to talk about these two albums and see which is better. Let's get into it. When we do these roundtable discussions, I always like to go back and listen to the projects to make sure one didn't age horribly or something. When The Truth vs. The B. Coming came up, I almost didn't even revisit the albums. The B. Coming wins this one, by a landslide. Beanie Sigel missed with The Truth, in my opinion. The talent was there, but there was too much going on that didn't contribute to the quality of the music. Aside from Mack and Brad, What A Thug About and What Your Life Like, I'm not here for much on the album. Considering the names involved with the creation of The Truth, you would assume it would be pure greatness, but nah. It sounds like everyone threw there ideas on a list and piece-milled a final product. Even the quality of rhymes Beans delivered on the album didn't seem up to par with what he had previously. I can't decide if it was more unemotional or uninspired. From the second The B. Coming opens, it has more personality than The Truth. There are tons of features on the album, but everyone contributes to the cohesive sound that was missing on The Truth. Beanie's lyrics are darker, more in line with the life he was living and more inspired. As for the production, it packs another all star cast of credits, but it worked this time. Artistic contributions to The B. Coming are more creative, in general. The use of instrumentation conveys more emotion and keeps Beans' voice from getting monotonous. Overall, The B. Coming is is just much more well put together and better quality than The Truth. Although, I think the Truth has the more commercial appeal and acclaim, B. Coming is my favorite. I'm not sleeping on The Truth, as I have a feeling some in this roundtable might say, but I just think B.Coming is Beanie's best work. 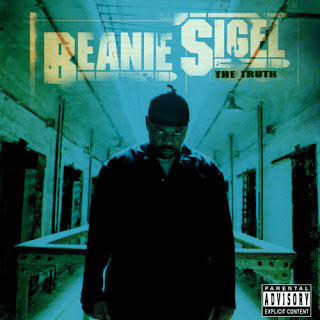 From jump, "Feel it in the Air" is so eerie and soulful, for sure a top 5 Sigel song. This album has a bunch of bangers like "Purple Rain" and "Don't Stop". "Bread and Butter" is hilarious and still a respectable song. "Change" and "Look at Me Now" are very mature deep tracks that shown a vulnerable Beans. In fact, that's why this album is better because of the pain and obvious hunger Beans had around this time. An imminent incarceration was looming and Beans gave us the journey and his best before that time came. This is tough, but I think I'm gonna go with The Truth. The B. Coming had fire, but The Truth was more cohesive and it introduced a new flow that some rappers today definitely bit off. Beans flow on The Truth was almost flawless, to the point where you just got lost on his words and the way he put them together. What made Beans compelling was that he was more of a realistic version of the persona Hov played on. Hov was the mega star while Beanie was just about the rhyming and street talk. The Truth also showed more hunger than the calm mannered B. Coming and I appreciate the sense of hunger in music. So yeah, I'm picking The Truth. For me, the answer is simple. The B.Coming. There aren't many albums that I truly identify with and relate to, but The B.Coming is one of those. Beans tapped into something on this album. He was preparing for jail time, the Roc was about to break up, and there was so much going on that Beans gave us his all in this album. My favorite songs are "Feel It In The Air", "I Can't Go On This Way", "Change", and the excellent "Lord Have Mercy". Don't get me wrong, The Truth is a great album, but it just doesn't compare to The B.Coming. The Truth boasts some great songs like the title track and the epic "What Ya Life Like", as well as the somber but realistic "Die". The Truth is a near classic to me, but The B.Coming IS A CLASSIC. Period. The choice was fairly easy. How about you guys? What do you think? Join the conversation below in the comments.